The care and maintenance of your home are not minor undertakings, especially since your home is where you and your loved ones find refuge and rest. When you’re seeking roof repairs, gutter replacement, or siding installation, you can trust our professional team at Dominion Roofing Co. No matter the cause or the extent of your roofing needs, we have the skills and experience to complete your roofing project quickly. We’ve been serving homeowners in Rockville, Maryland for almost 30 years, and we are proud of our history in this community. 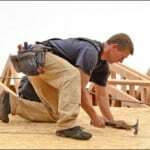 We provide roof repair and replacement. Here in the Maryland area, winter ice storms, summer thunderstorms, and all-season hail storms can cause serious damage to your roof – from the downed tree limb to the subtle damage that can lead to leaks that cause mold and mildew. When weather strikes your roof, you want a roofing contractor who is trustworthy and aware of the pressing nature of your needs. Contact Dominion Roofing Co. for a no-obligation inspection. We’ll help you determine the extent of your damage and work to create a plan and budget that meets your needs. Even the most regular of weather patterns can take its toll on your home or business exterior over time. Your roof, gutters, flashing, and siding can get worn down by sun and regular rain, and in time, your roof may start showing its age. When you require the professional services of one of the DC area’s top roofing contractors, contact Dominion Roofing Co. 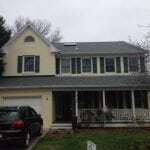 Here is a recently completed job in Rockville, MD. This was a complete tearoff. We used Certainteed xt25 year three tab shingles in dove gray. We also replaced the front skylight using a Velux flat glass low e unit. Maintaining a quality roof is vital to protecting your home. Your roof protects you and the structure of your home from the elements, extending both the longevity and health of your home and its inhabitants. 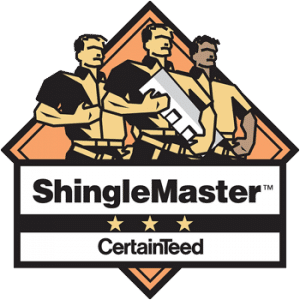 Unfortunately, most homeowners do not give their roof a second thought unless they notice water stains on their ceiling, missing shingles, or other signs that something is wrong. By then, it may be too late and costly repairs must be made. Regular roof inspections help you discover problem areas before they become serious issues that can cost thousands of dollars in damages to the interior of your home. At a minimum, you should have your roof inspected every two to three years, but an annual inspection is recommended. 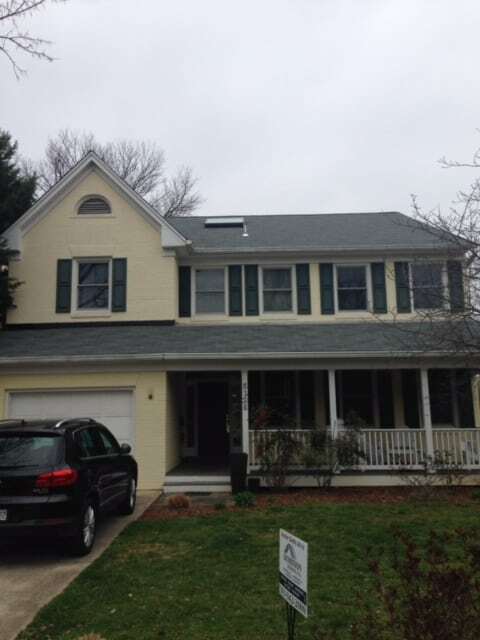 For a roof inspection in Rockville MD, contact Dominion Roofing Co. to schedule an appointment. In addition to offering some of the best roofing services around, we also provide Rockville home and business owners with services such as siding, gutters, soffits, and more! At Dominion Roofing Co, we take pride in offering solutions for any of your exterior needs. It’s our policy not to call a job “done” until you are completely satisfied. Business owners, count on Dominion Roofing Co. for your Rockville MD commercial roofing needs as well. Every business customer receives the same care and attention we give our residential customers, and as business-owners ourselves, we understand just how urgent it is for you to stay in operation during repairs. We honor your work and your expectations, and will complete your project of any size with timeliness, efficiency, and budget-consciousness.